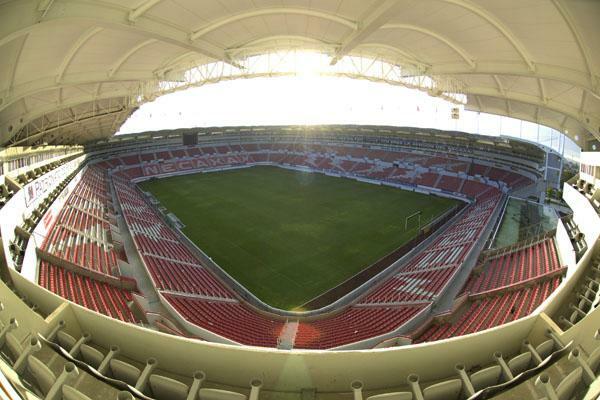 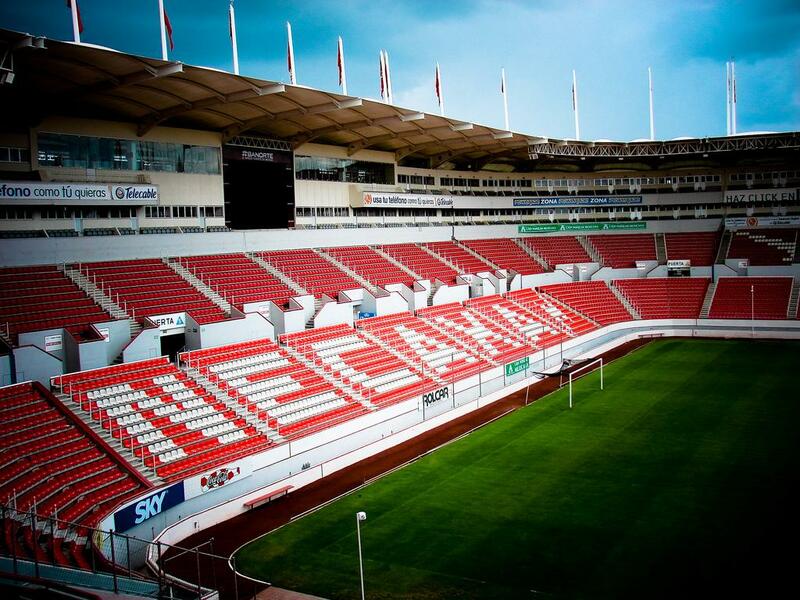 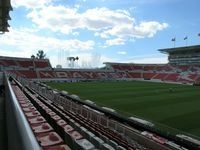 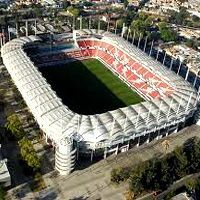 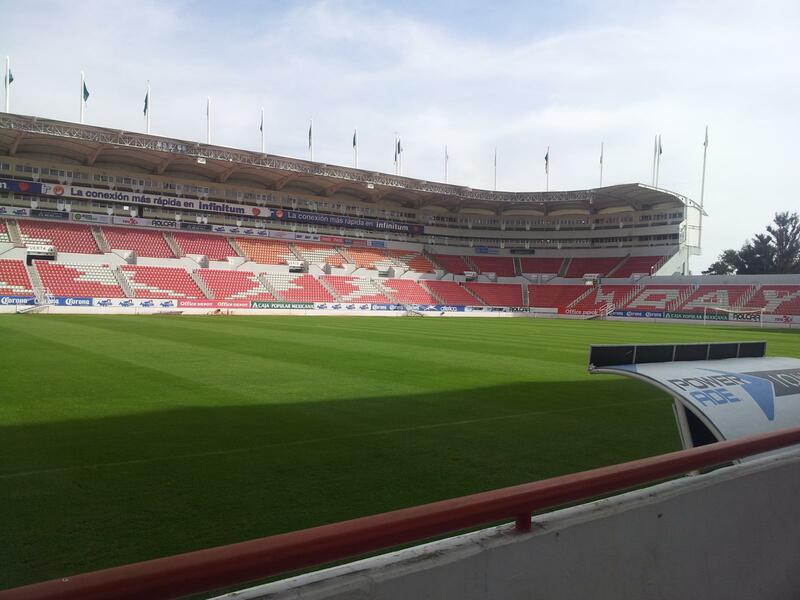 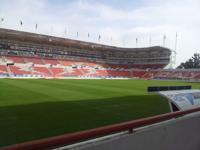 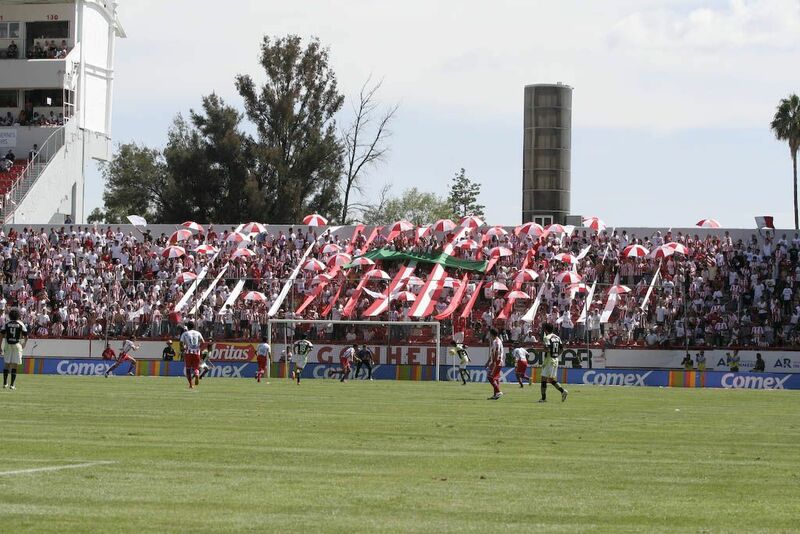 After Club Necaxa failed to draw crowds to the giant Estadio Azteca, the side relocated and decided to build their own stadium. 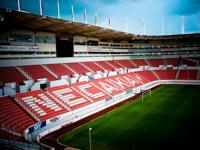 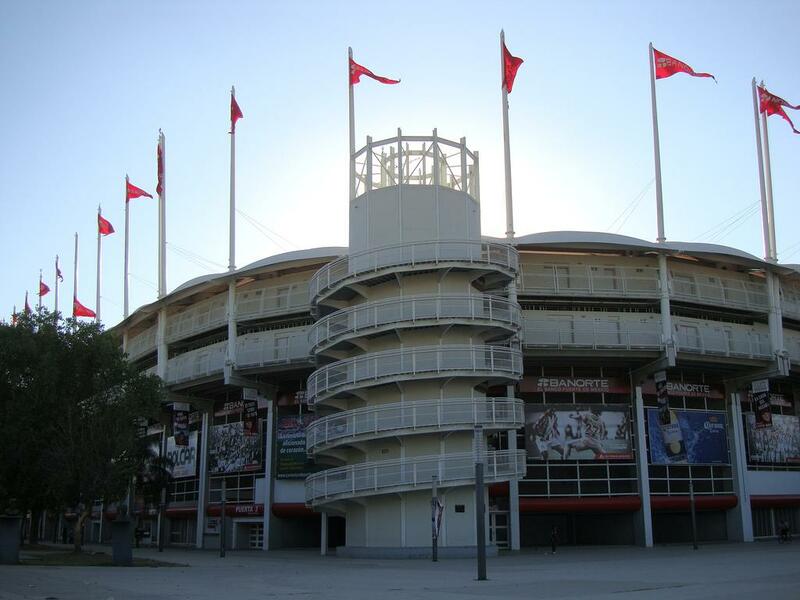 The municipality of Aguascalientes donated land with outdated 8,000-capacity municipal stadium, which was then demolished and replaced by a new, private stadium. 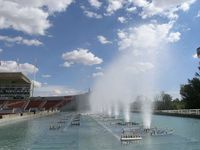 Construction began in May 2002 and led to opening after just 14 months. 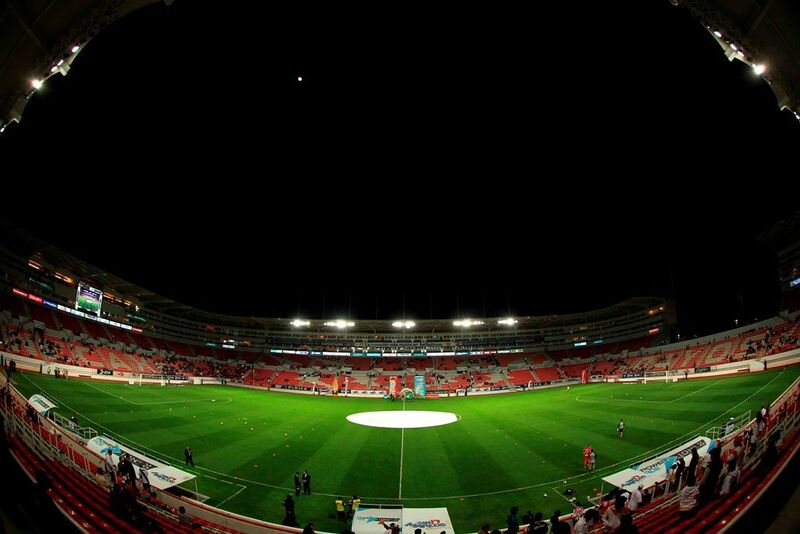 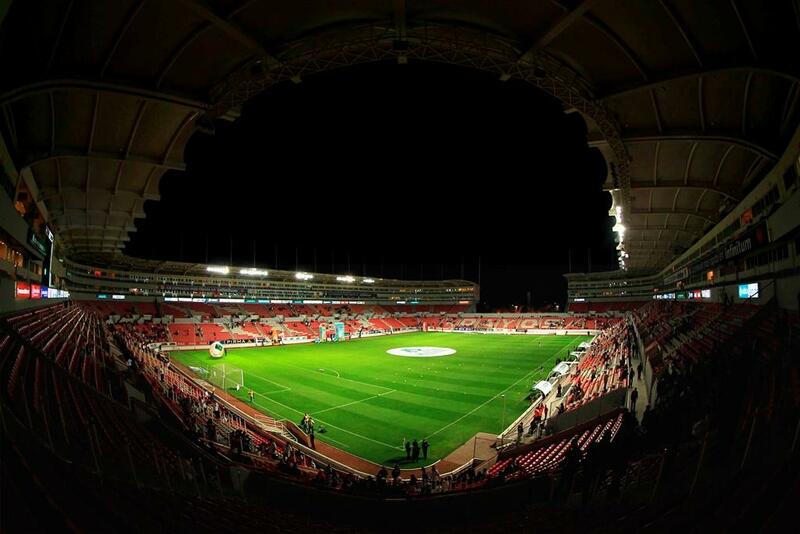 The stadium wasn't completely done at that time, but operable. 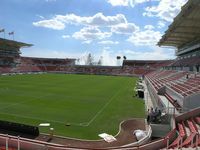 Its stands are mostly covered with the south side remaining the only one without either a roof or an upper tier of seating. 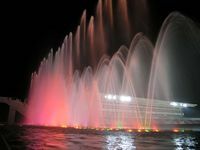 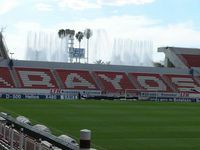 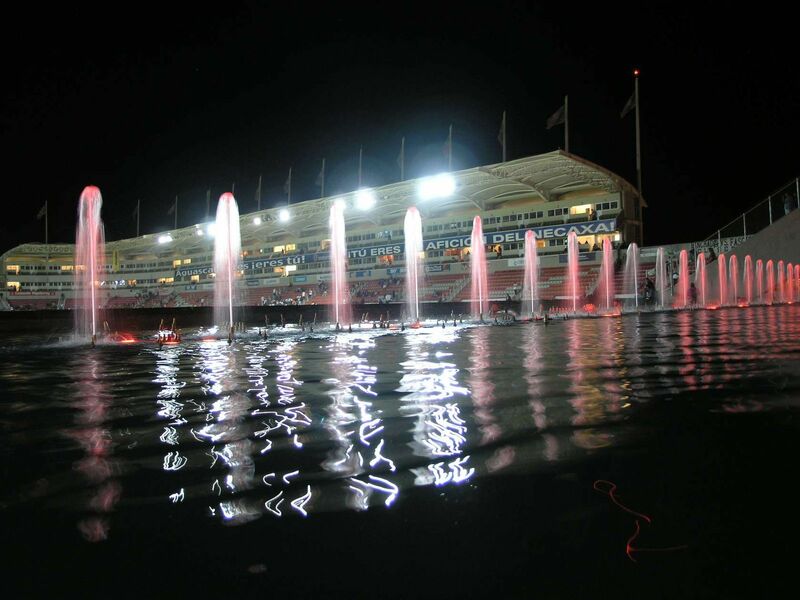 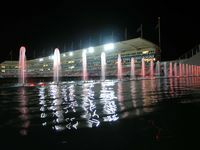 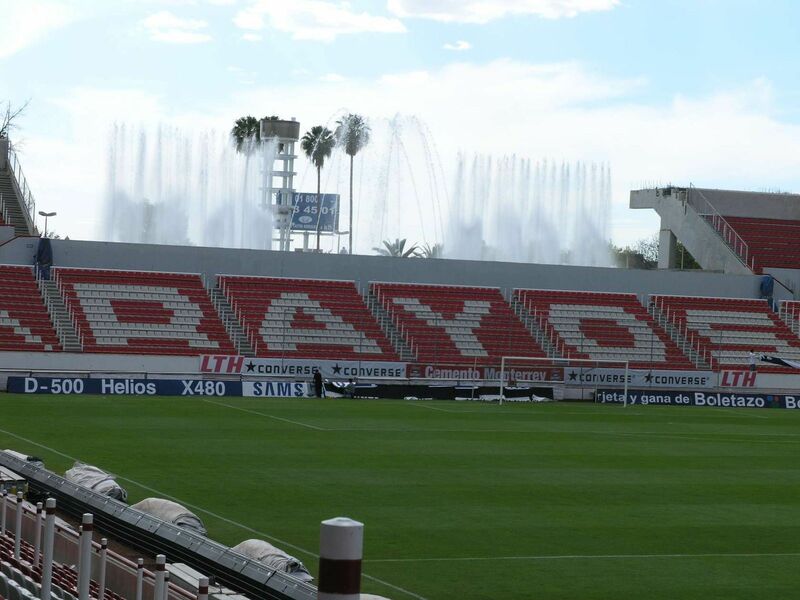 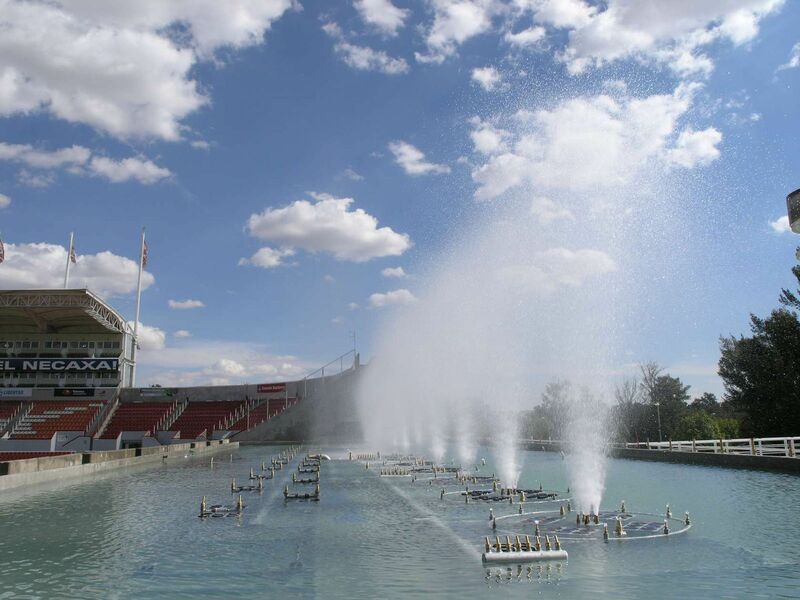 In return, the stand offers a unique feature of a dynamic fountain behind southern seats. 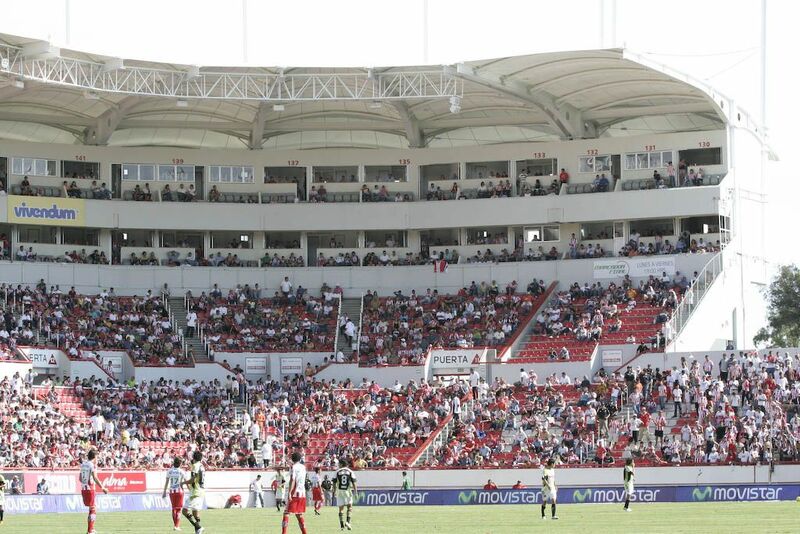 The name Estadio Victoria is commercially secured to promote Victoria beer. The naming rights contract is to last for 25 years since opening.